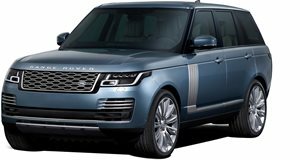 The Range Rover Hybrid for 2019 now offers up to 31 miles of EV-only range while still retaining that superb balance between luxury and off-road ability. It may be six-years-old now but this fourth-generation model still offers cutting-edge technology. The electric motor and 13kWh battery are paired with a turbocharged 2.0-liter four-cylinder gasoline engine that sends power to all four wheels through an eight-speed automatic transmission. Total combined power is 398 horsepower and 472 lb-ft of torque. Charging takes 7.5-hours on a standard wall socket or 2.5 hours with a 32-amp wall box. The Hybrid variant is available in HSE trim only, this means you get LED headlights and taillights, self-levelling air suspension, adaptive suspension dampers, panoramic glass roof and keyless entry as standard. There is also a 10-inch touchscreen with navigation as standard as well as a 19-speaker audio system. A number of packages and standalone options can be added; notable extras include heated, ventilated and massaging seats as well as a dual-screen rear entertainment system.